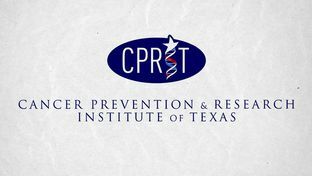 A set of newly-published proposals put forth by the CPRIT oversight committee strips out the Chief Commercialization Officer and related committees, suggesting that the cancer fighting organization will no longer be permitted to attract new biotech companies into Texas. Section 703.2 adds the definitions for “chief product development officer”, “compliance officer”, “product development review council”, and “product development prospects.” The section proposes to delete references to the “chief commercialization officer”, the “commercialization review council”, and “commercial prospects”. The section also clarifies the definition of “cancer research” to include research into the prevention of cancer. Deleting references to the “chief commercialization officer,” “commercialization review council,” and “commercial prospects,” suggests that CPRIT’s new organizational structure will not include its once robust operations to attract private biotech companies into the state. These changes would lay to waste incubator programs designed to help foster new start-ups within Texas, as well as significant relocations of biotech operations. It is particularly interesting that this section juxtaposes the deletion of CPRIT’s commercialization arm with the addition of a compliance officer — a detail that only further suggests that these proposals constitute a sea change in the scope and direction that CPRIT will take in the foreseeable future, should these proposals be passed by the Texas legislature. Download a .pdf of the CPRIT Oversight Committee’s proposed amendments. Be sure to subscribe to BioNews Texas and receive instant notifications of updates to the CPRIT story and more! Let us know in the comment section below what you think of this proposed change to the way that CPRIT operates.